Jan 2019 This year, the unique and recognizable photography of Erwin Olaf (1959) is celebrated like never before. With Olaf presenting a new book and big overview exhibitions, it’s time to focus on his life and work. 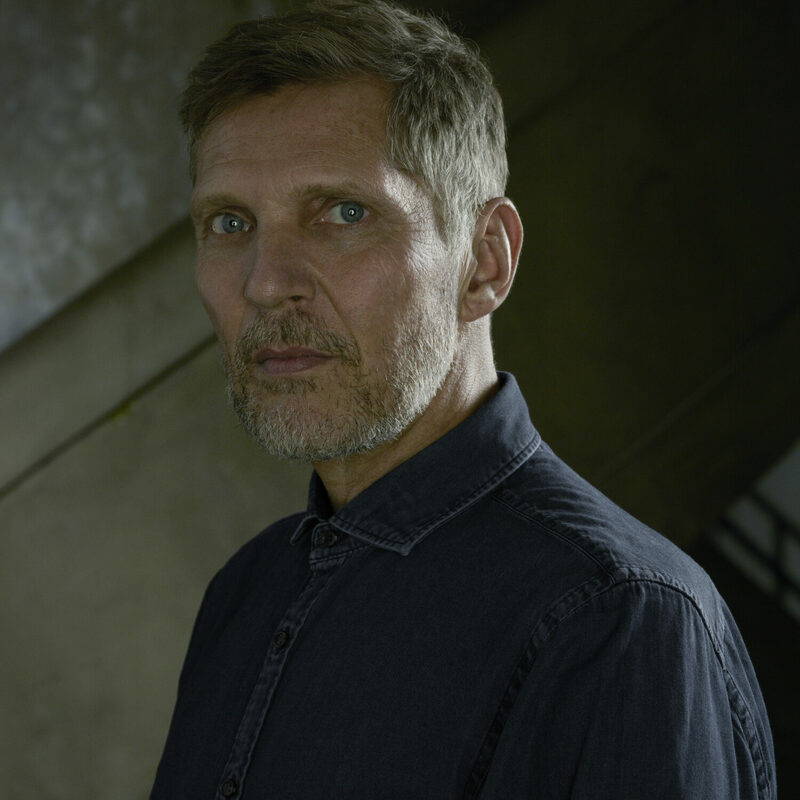 The new year brings the sixtieth birthday of Erwin Olaf. And although he’s turning sixty in July, the celebrations have already started. The photographer, who was recently praised for his portraits of the royal Dutch family, will be signing his newest book in our Berenstraat store (on Sunday 24 February, 4PM) and his work can be seen in two The Hague museums and the Amsterdam-based Rijksmuseum. But when did Olaf start his career in photography? And what made him become one of the most famous Dutch photographers of our time? Image from 'Keyhole' (2011-2013), a series of photographs where the subject is turned away from the camera. Shown above: the English edition of I AM. A large part of Olaf’s work, especially in the eighties and nineties, was provocative. 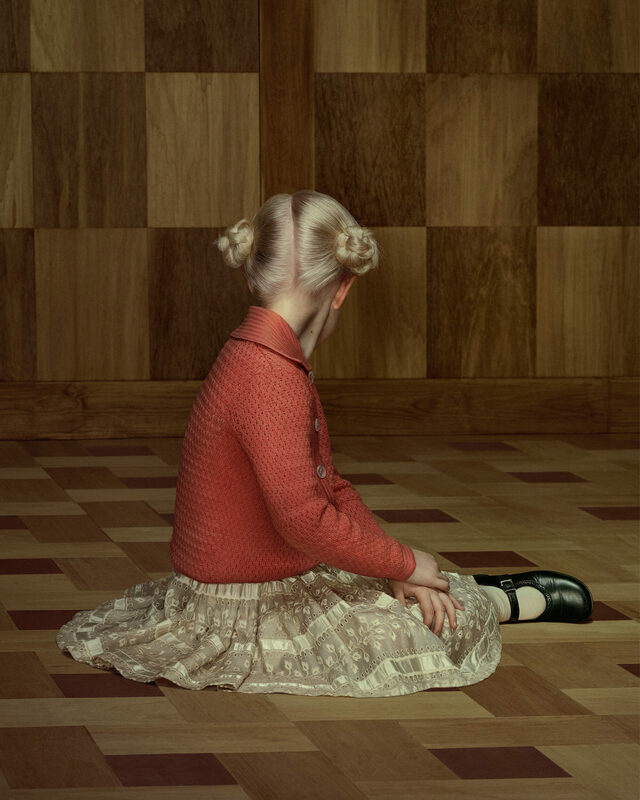 MENDO’s Daan grew up with the work of Erwin Olaf, as the ‘Violence and Passion’ book was on the shelfs of his parents. He vividly remembers ‘Fashion Victims’, a photo series containing naked models wearing paper bags on their heads. “I remember that series to be quite exciting,” Daan says. The voluminous new book contains over 240 photographs, ranging from his early work like ‘Chessmen’, to his most recent and unpublished ’Shanghai’ and ‘Palm Springs’ series. Visit the signing session at MENDO or pre-order at MENDO before February 24, to receive a signed copy. Erwin Olaf’s later work would become slightly less provocative, as the photographer increasingly developed his themes through the form of monumental tableaux, both as a photographer and as a director. Daan’s comparison to his work resembling Rembrandt is striking, as Olaf says he has close affinity to both Robert Mapplethorpe and Old Masters such as Rembrandt. Works of both Masters, Old and New, will be visible under one roof, as Erwin Olaf has recently donated his core collection, spanning his entire career, to the Amsterdam-based Rijksmuseum. “To me, the Rijksmuseum is the museum of The Netherlands,” Olaf said in a Volkskrant interview. “That’s the place where a big part of our history and identity comes together.” And although only a fragment of his Rijksmuseum donation is visible at the moment, it’s now possible to see a major double exhibition of his work in The Hague. The Gemeentemuseum Den Haag and Fotomuseum Den Haag will work together in hosting Olaf’s biggest overview exhibition ever. Olaf likes to say that the joint solo exhibition and the accessory ‘I AM’ book “celebrate 40 years of visual freedom”. Series like ‘Chessmen’, ‘Royal Blood’, ‘Keyhole’ and ‘Grief’ all contain older work of Olaf, but the exhibition will also feature some of his most recent, never before published photography that he shot in Palm Springs. Erwin Olaf's latest book 'I AM' contains 240 photographs, both existing such as Chessmen XVII (1988) and new work. Shown above: the Dutch edition of I AM. Erwin Olaf will sign his newest book ‘I AM’, which features photography of the last forty years and serves as a catalogue for the overview exhibition, at MENDO. You are welcome in our 11 Berenstraat flagship store on Sunday 24 February, 4PM. Other books that include work of Olaf or focus on the photographer himself, are The Workshop, MOAM and Rijks. Our series 'Meet MENDO' is where we introduce the people who make MENDO. In this episode: co-owner and founder Joost.